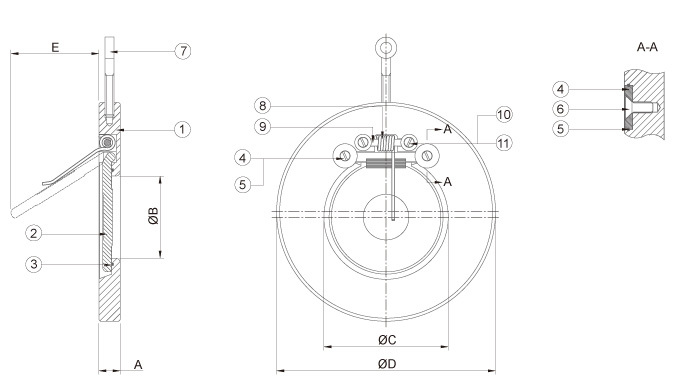 Series C15 spring loaded thin wafer swing check valve opens when the opening force exceeds the closing force. The opening force depends on the pressure or the flow volume and the closing force on the closing spring, the closing weight, the installation position and the size of the check valve. The thin wafer design drastically reduces the weight in comparison with conventional valves. They have been widely used in Marine and offshore industry, Petrochemical industry, Pharmaceutical industry, Heating and cooling, Ventilation, Fir protection systems, Water industry, Beer and beverage industry, Nuclear power industry.